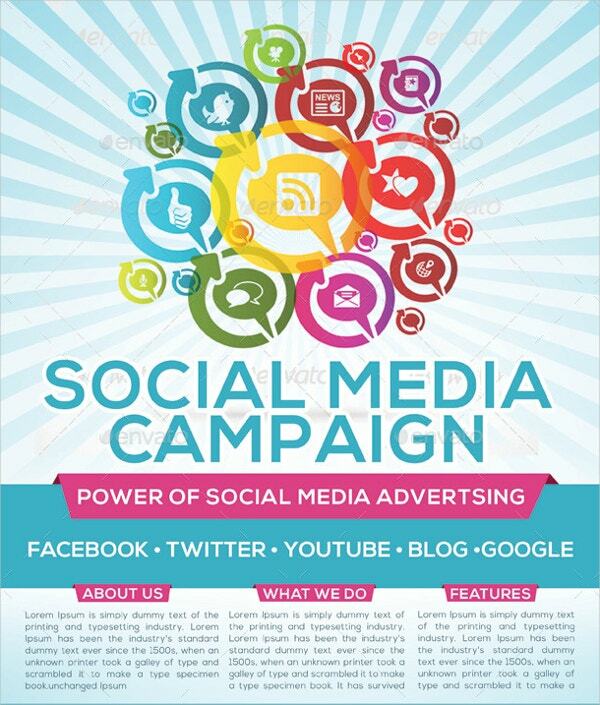 Social media marketing is gaining quite a popularity as an online marketing policy each day for businesses universally. 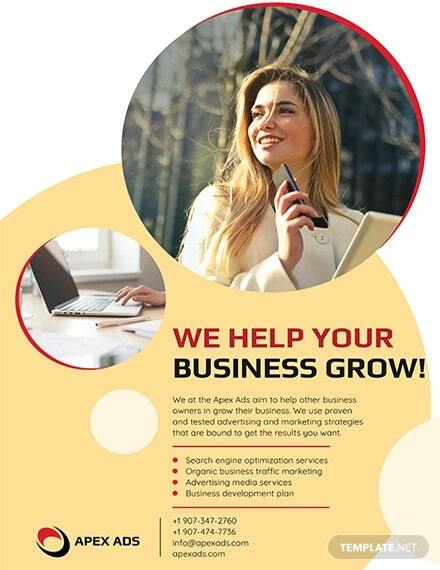 Social media flyer samples aim at interested groups connected to a product and involves them through an advertisement. 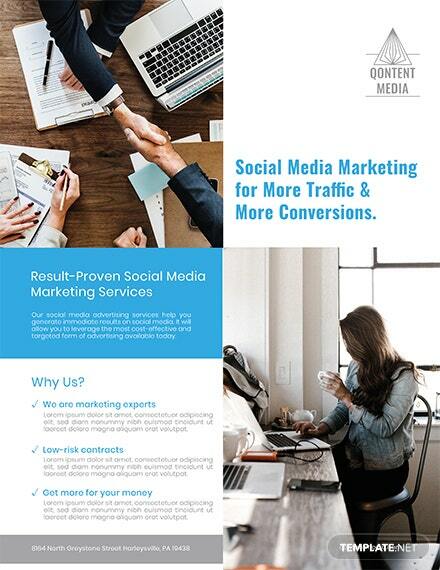 A lot of customers use social media flyers to connect themselves. 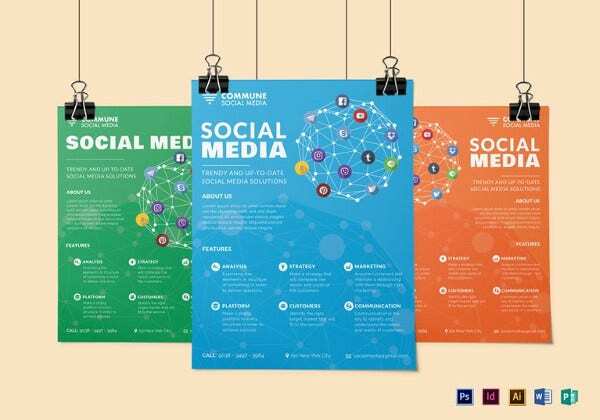 To keep up with these changes, we have listed a few of the most classy and professionally designed social media flyers that integrate with important social media platforms. Have a look! You can also see School Flyers. 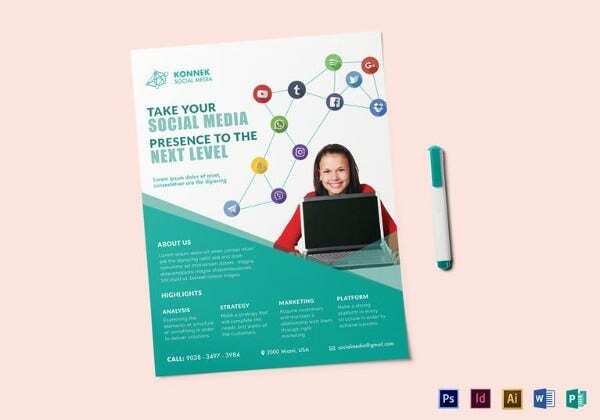 Social Media Business Flyer is a beautifully designed flyer that comes with A4 print dimension with Bleed + Trim Mark. It has some set of features such as 300 dpi resolution, fully editable options, and CMYK color mode. You can also see Chalkboard Flyer. 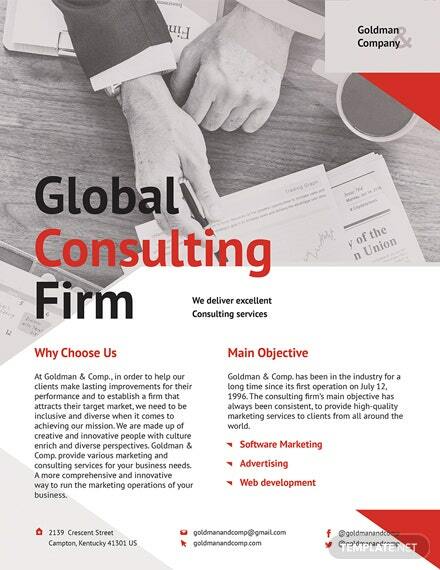 This modern and exclusive Multipurpose Social Media Marketing Flyer can be used for corporate, personal and business purpose. It comes with 100% Editable/Layered, fully easy customization, 8.5×11 inch size and CMYK color mode. You can also see Spa Flyers. 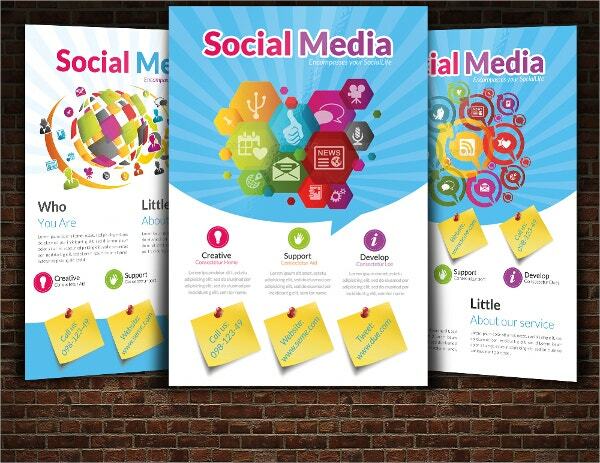 This eye-catching Printable Social Media Flyers can be perfect for promoting and advertising your product. It has 300 dpi resolutions and comes with easy to edit options. You can also see A4 Flyers. 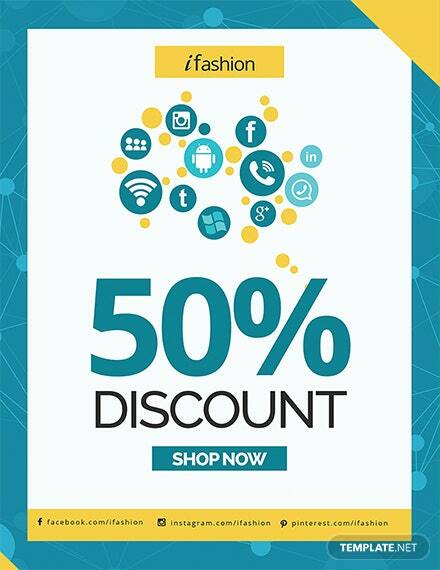 This well-designed and attractive looking Social Media Advert Flyer comes with a high-quality resolution. It comes in various sizes and shapes. 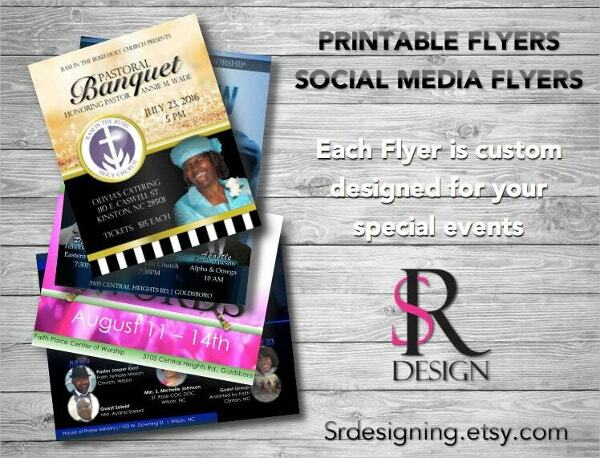 This flyer looks classy and it is easy to use. 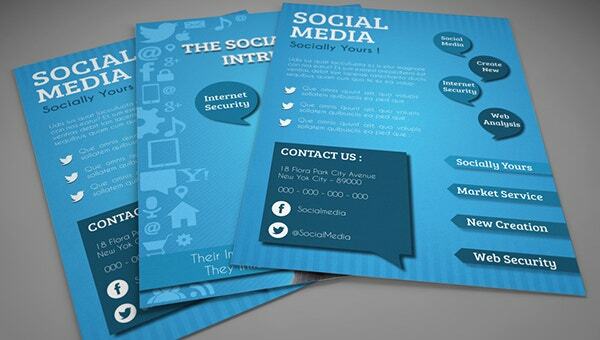 This beautifully designed marketing flyer template comes with an A4 and letter size too. It has attractive features like CMYK with 300 DPI resolution, editable text and color, 8,27×11,7 inch size along with bleed and much more. 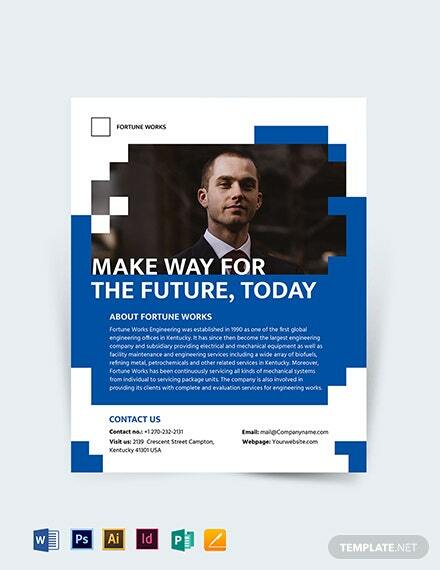 This is an amazing and professional Corporate Product Promotion Flyer design template. It can be best used to promote your product. It comes with 300 dpi resolutions, CMYK colors. All major elements can be edited and customized. 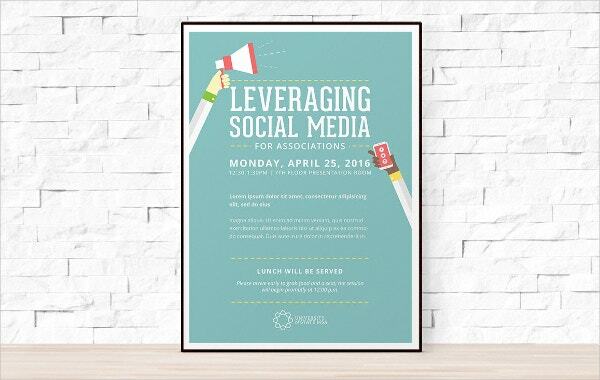 This is a perfect set for social media marketing flyer. It contains 300 dpi resolution, CMYK color mode, 8.5×11 inch size and uses free fonts. 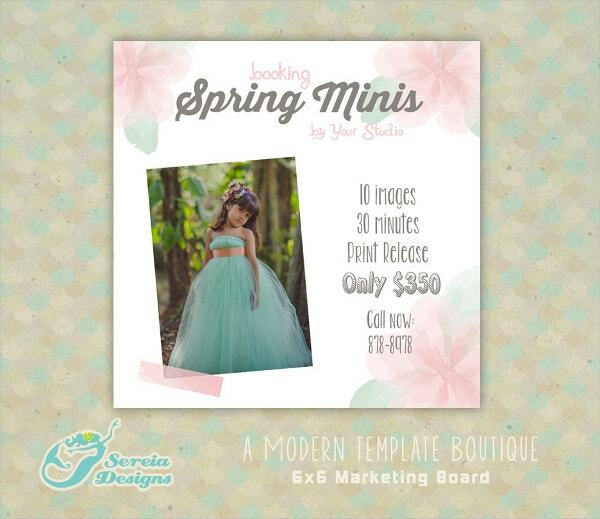 This artistic and really amazing Spring Marketing Social Media flyer can be the perfect use for newsletters, studio promotion, advertisements and postcards. It comes in varieties of colors and designs. It has 300 dpi resolution, easily customizable text options and layered files. 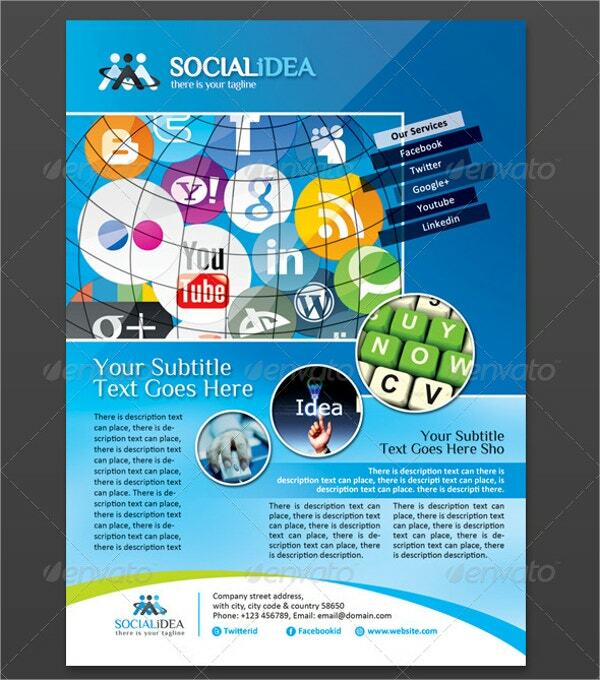 This clean and colorful Corporate Social Media Flyer and ads can be best for Versatile Social Media business use. 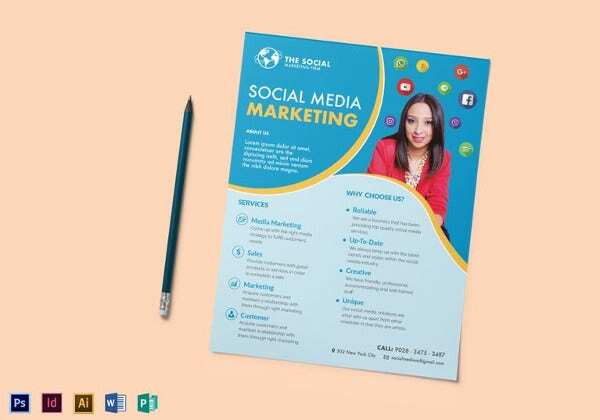 It comes with attractive features like simple to use, fully editable text, font and colors, A4 print dimensions and 300 dpi resolutions. 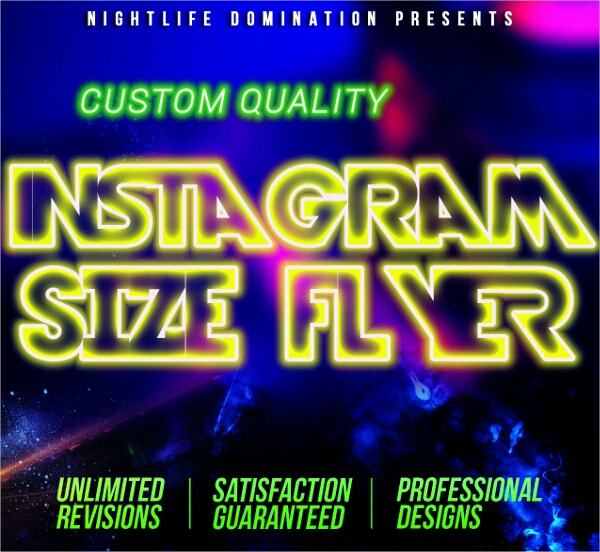 This is a contemporary, sophisticated, trendy Instagram Social Media Size Flyer.It can be suitable for your company or for exceptional events. 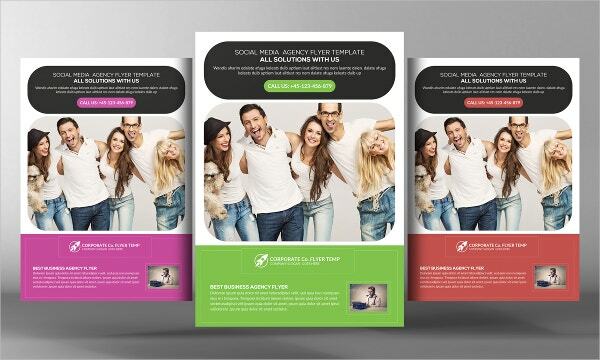 It has premium layouts and comes with high resolution and easy to edit options. 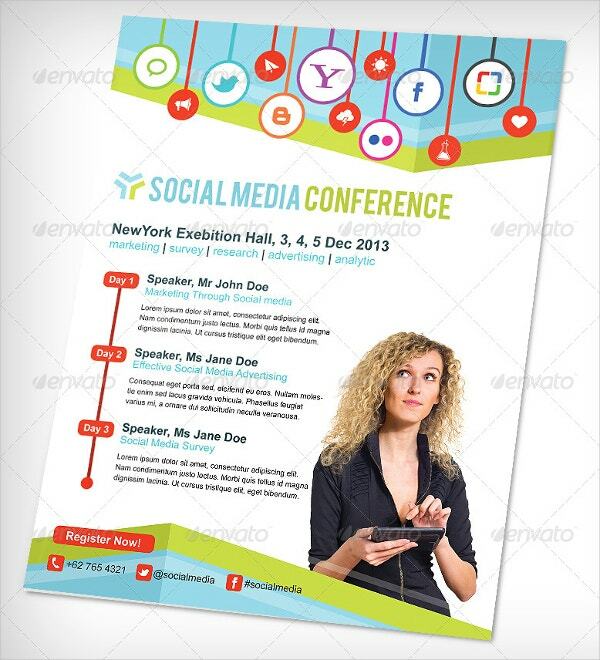 Social Media Conference Flyer can be the best use for advertising your product during a conference or for displaying your ad. It comes with 300 dpi resolution, A4 size and 3mm bleed and CMYK color mode. 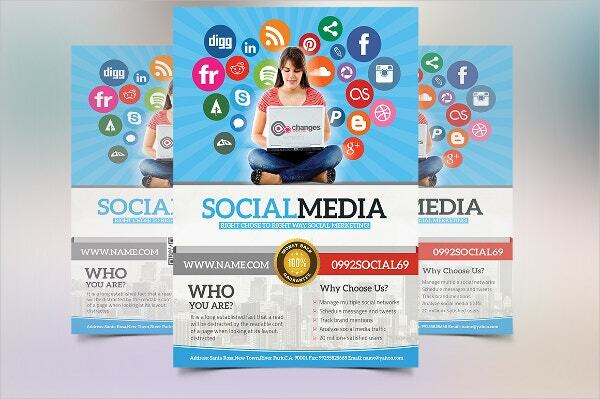 This professional and beautifully designed Commercial Social Media Flyer comes with a set of 5 flyer bundle. It is loaded with amazing features like CMYK color mode, 210”x297” inch size, easy to edit text and 0.25 bleed every side. 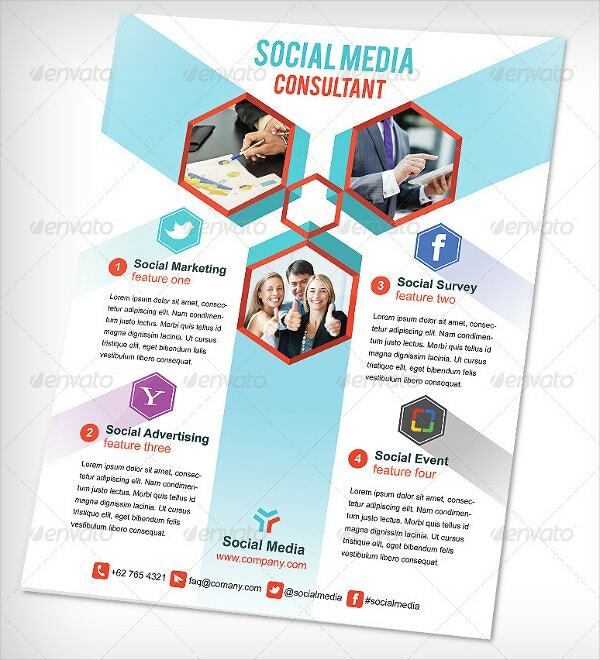 This Social Media Consultant Flyer looks contemporary and commercial, and lets you add every element of your company. Its features include 300 dpi resolution, CMYK color style, A4 size, and 3mm bleed. 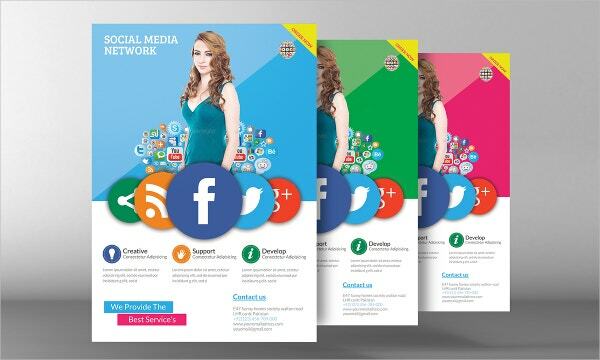 This amazing Social Media Flyer Template is designed stylishly to add the company elements along with the features on the flyer. It comes with powerful words and attractive colors. It has 300 dpi resolution and easy to edit option with Adobe cs5 format. 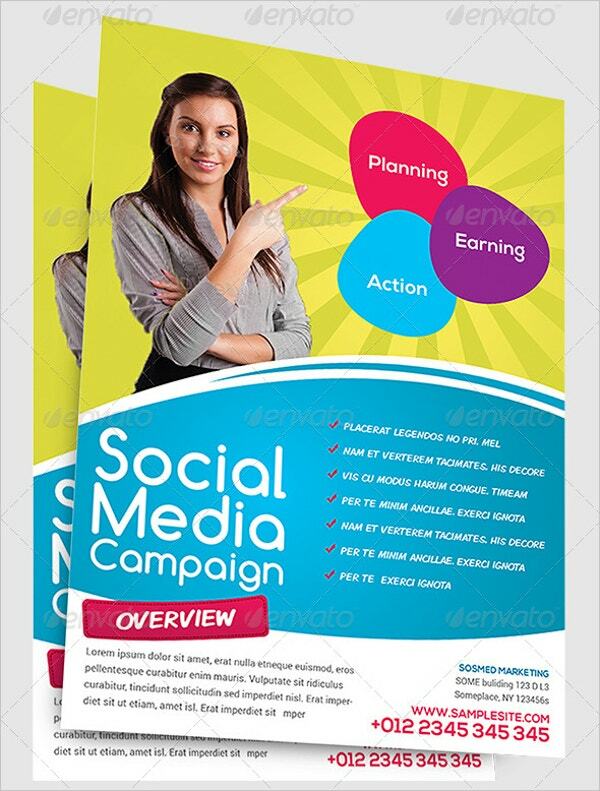 This well-designed social media campaign flyer template provides complete information about the company with attractive features. It comes with features like CMYK color mode, 300 dpi resolution, easy to edit option, 8.5×11 inch Size and 0.125 bleeds. You can also see Audition Flyers. 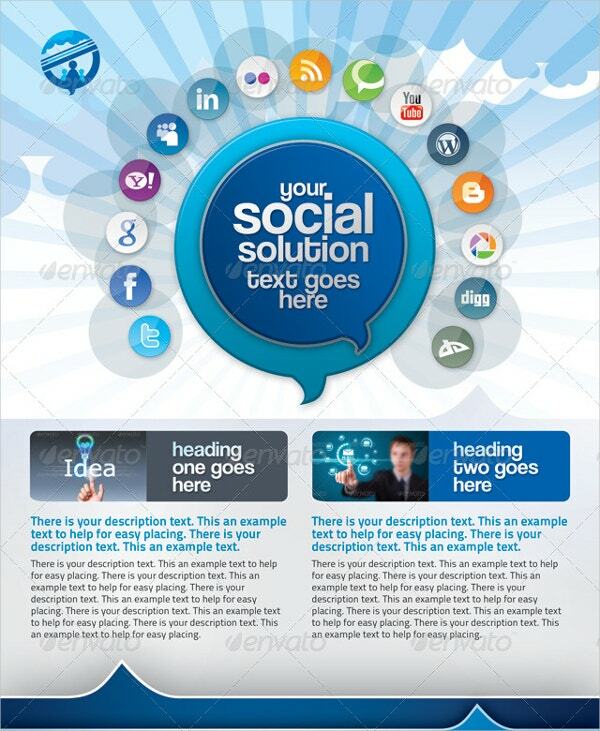 Our websites gives you all the social media flyer templates that are provided with a help file. 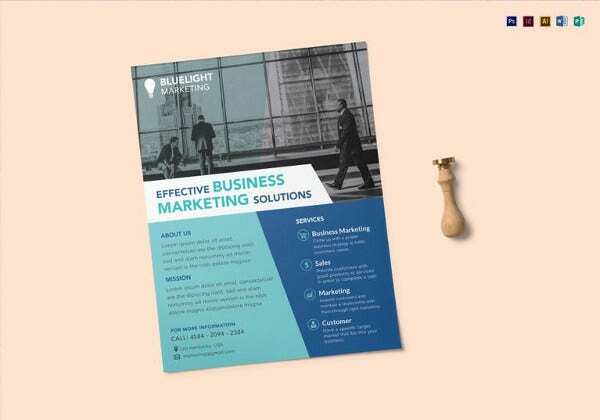 These marketing flyers and social media templates are available in high resolution and have options to edit the text and colors to make your work look beautiful. 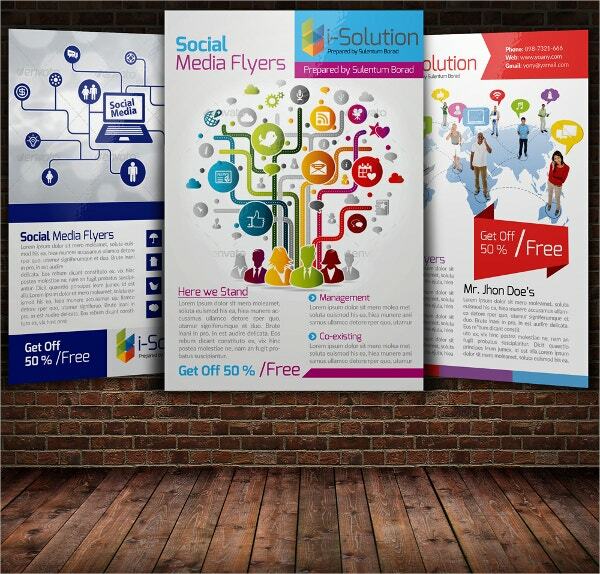 Get started with your work by selecting the best flyer as per your need.